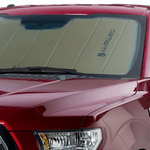 A great way to keep your car or truck cool during the summer or to block the sun from your eyes or your passengers, especially children, is with a car sun shade or with a car sunscreen. 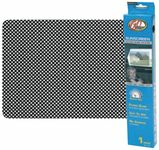 We carry a variety of car sun shades, such as static cling sun shades, retractable sun shades (great for when driving with children), universal sun shades made of different materials in varying designs or colors, or lastly custom sun shades, made specifically for your car or trucks make and model by Covercraft. The car sunscreens are available in a variety of colors with or without designs or logos. Click here to read more about why sun shades and screens are so important! We all know how hot it gets inside a car on those sunny summer days. It can be quite irritating to have to open all the windows and doors before entering your vehicle, especially if you have somewhere to be. When the sun shines in through your car windows, the heat is amplified exponentially by the glass on the windows. This not only creates a tremendous amount of heat, but is also very harmful to your interior, especially if you have leather. 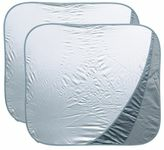 The sun shade acts as a mirror, deflecting the sun back out of the car. 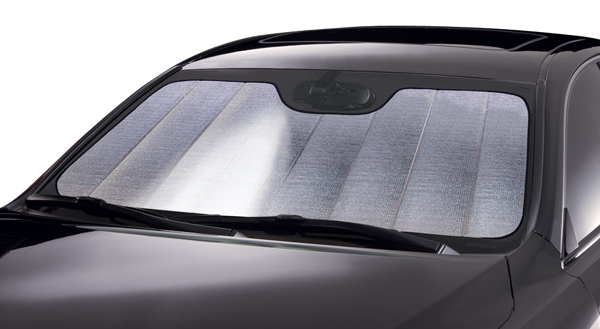 This will prevent heat from building up, as well as protect your seats, dash, and interior from ultraviolet damage. 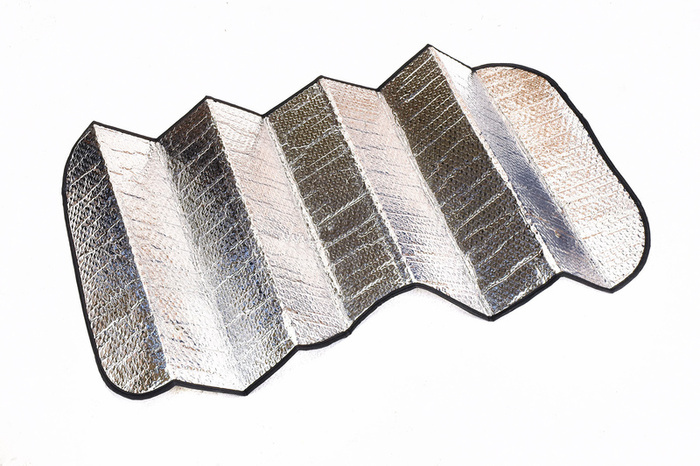 The combination of intense heat along with ultraviolet rays will fade upholstery and leather, ultimately depreciating the value of your vehicle.